Book Details: Book in nice condition. Back cover does have what looks to be a scratch or scuff mark, see pictures. Shows very little use and binding is excellent. Great historic reference book for the Colt collector. 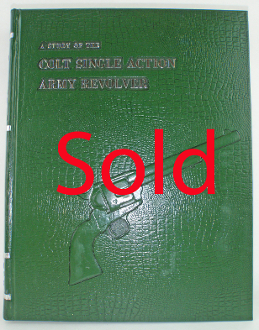 Excellent reference book for the Colt Single Action Army revolver. Hard cover about 9" x 11 1/4”.